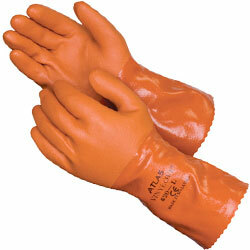 12" seamless knit PVC-coated orange gloves. Most cost-effective synthetic glove. Commonly used in industrial environments, as well as in cleaning and food preparation.